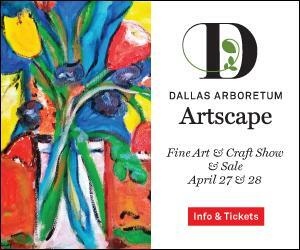 Watch WFAA Channel 8’s Good Morning Texas on Monday, January 28 as Sarah shares her story. 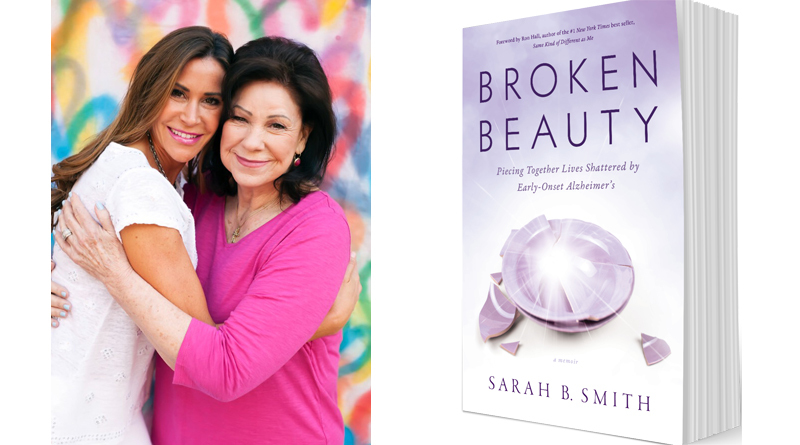 The show runs from 9:00 a.m. until 10:00 a.m.
Park Cities resident Sarah B. Smith’s new book Broken Beauty – Piecing Together Lives Shattered by Early-Onset Alzheimer’s is now available everywhere books are sold, including Barnes & Noble, Amazon.com and Logo’s Book Store in Snider Plaza. It is a story of Sarah’s mother – known as “Beauty” to her family – and her family’s journey in navigating the devastating world of Early-Onset Alzheimer’s. Sarah was a young mother in her thirties, just finding her own way and in need of a mother as much as ever before, when her own mother’s illness struck. The family’s shock and pain at the disease’s manifestations has at times proven unbearable. Not only is Beauty still young and fit, she is also Sarah’s best friend. This powerful and personal story about a daughter facing the unthinkable and the love she found to carry her through will touch the hearts of everyone who reads it. The sole focus of the book is not on death, but on a family that has taken a firm hold of life and celebrates victory over tragedy. It is NOT a clinical, how-to book, but a personal account – a compelling God-ordained walk through one family’s experiencing loss, dying. Wit is a love story between a husband/wife and a mother/daughter. Written in narrative form, it puts the reader in Sarah’s shoes, as well as those of her father and is uniquely written to penetrate the heart of the reader and allow them to accompany them on this extraordinarily personal and heartbreaking – yet inspiring and encouraging – journey. Sarah is a housewife, a mother of three, a lifelong Texan and a woman of deep faith. Her childhood was anchored by her family’s faith and their participation in church activities. A graduate of the University of Texas at Austin, she worked in the software and high-tech industry before marrying and moving to Dallas. 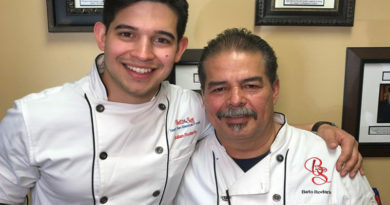 They have served on various boards and committees, including the Greer Garson Gala, the Presbyterian Hospital Healthcare Foundation, East-West Ministries, AWARE Dallas and the Providence Christian School of Texas. They actively serve with their children in assisted living and memory care facilities and support organizations such as Council for Life, the Alzheimer’s Association, the Women’s Alzheimer’s Movement and Community Bible Study. 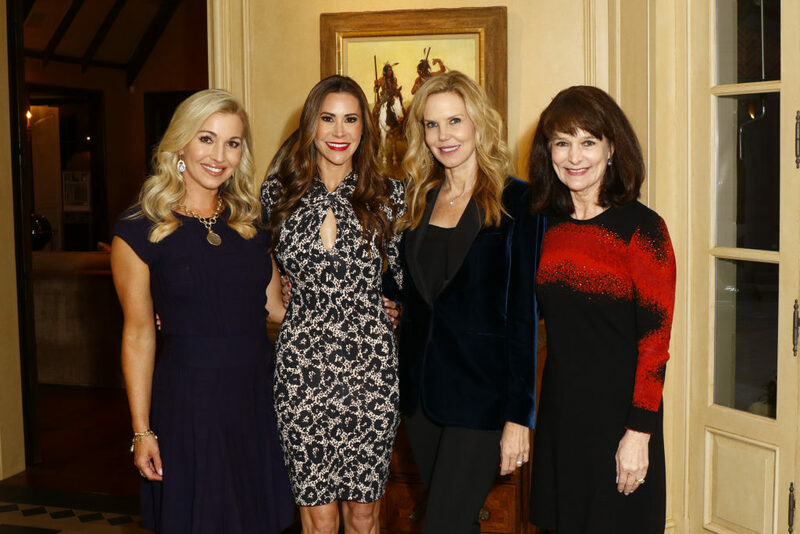 Tavia Hunt hosted the Kick-Off announcement party at her home with her husband, Clark; Sarah B. Smith and Ginny Bond Fein, AWARE Affair Chairs; Sharon Ballew, President, AWARE. Keep up to date with Sarah’s journey, book signings, interviews and appearances through her social media at Facebook:/beautyinalzheimers, Instagram: https://www.instagram.com/beautyinalzheimers/ and websitewww.brokenbeautybook.com.